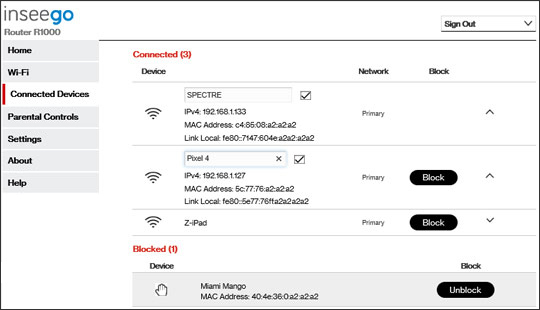 También puedes enable or disable a connected device from your My Verizon app. From the Connected Devices panel, click the Arrow icon . 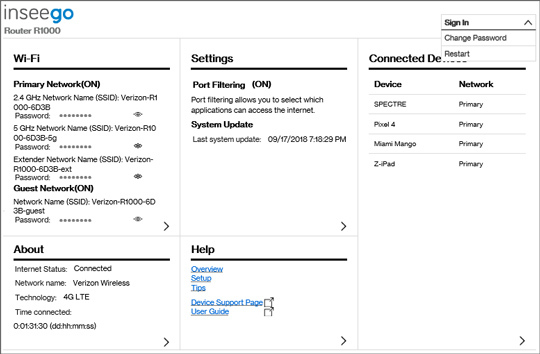 From Connected Devices, click the Dropdown icon to view additional detail for the desired device then click Block. Alternatively, click Unblock to restore connectivity to blocked devices.